A few months after I started my PhD program in Knoxville in 2009, I heard a story on NPR that made me so excited I had to pull the car over. It was about research by Jason Chapman and others in England who were using radar to study high-altitude insect migration, and documenting enormous numbers of insects passing overhead. 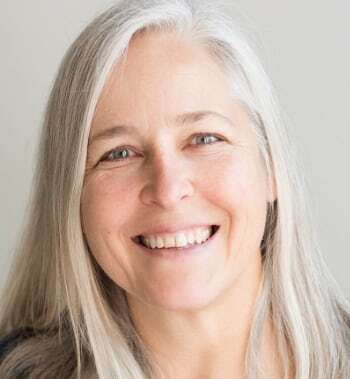 Even though it was a big part of my dissertation research, it seemed like a pretty obscure topic to me and I was astonished and thrilled to hear about it on the radio. I hoped to meet Jason someday. Later, one of my advisors, John Westbrook, was working with Jason on a project and introduced us. After I finished my PhD I managed to talk my way into joining their project, and my dream came true. I’m sure many grad students have stories about meeting the “rock stars” of their fields. Luckily Jason turned out to be great fun and very supportive of new researchers. Setting up the VLR in Texas. Some of the most amazing work from Jason and his colleagues involves data from a vertical radar (VLR) specialized for studying aerial insects. In the right conditions, it can distinguish individual insects up to a mile or so overhead, group them by size, and determine their heading (which way their body is aligned), direction (which way they’re actually moving, which is often not the same for insects), and speed. Using this data they have shown among other things that insects prefer favorable winds during migration, larger insects can actually fly across the wind if it’s not going the direction they want, and that there are up to 5 trillion insects flying each year north into England and then south again in autumn. 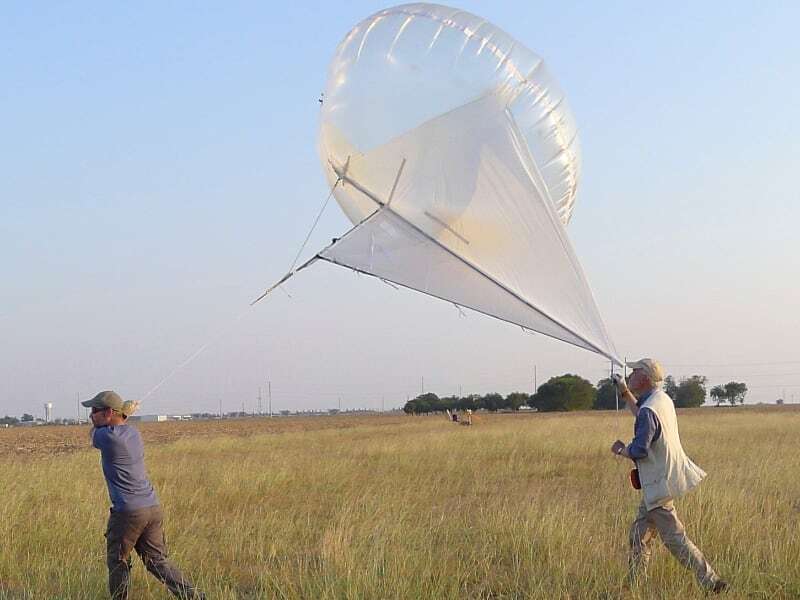 The project that Jason and John were working on involved bringing one of these radars to southern Texas, to a location not far from the largest free-tailed bat colony in the world. Beyond the cool factor, I was excited about using the VLR to answer questions about bat foraging activity. I hoped that data from VLR could act as a direct measure of moth abundance, similarly to how we used moths in the bats’ diet as a proxy for moth abundance. A Helikite with an aerial insect net. A device allows us to seal off the collection bag at the back before lowering. Calibration is always a concern for scientific instruments, and since this was the first installation of this VLR outside the UK, the first order of business was “ground truthing.” That means there must be a reliable, repeatable way to convert the VLR output into accurate readings of recorded insects. This is a big challenge, since the whole point of the VLR is to study tiny things in the air that are inaccessible! Clearly we were going to need to bring together as many different sources of data as possible. I proposed that we fly our Helikite and bat detectors near the VLR and use relative foraging activity to help. The idea was that if we had more bat activity at an altitude where the VLR showed that insects were concentrated, that would indicate the new radar might be working properly. Only after validation could we use the VLR data to answer research questions. 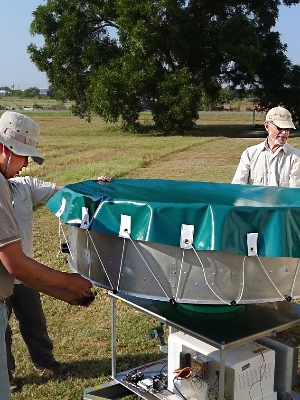 Jason Lim, from Rothamsted Research, built a new version of the original VLR, shipped it to Texas, and Jason Chapman, Don Reynolds (another insect migration rock star), and Phil Gould joined him at our field site in Seguin, Texas. After they installed the VLR, we flew our Helikite at a nearby location. 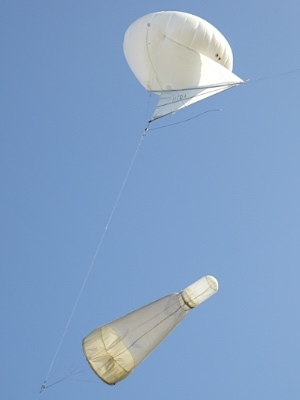 John Westbrook deployed a second Helikite with a Tethersonde to monitor wind and weather data and an insect net for some direct sampling aloft, and we ran light traps at ground level for comparison. We gathered data in different seasons during 2014-2016 and hope to combine all these data sources and compare the results to data from the nearby NEXRAD weather radar in New Braunfels. John presented preliminary data at the 2017 ENRAM radar meeting in Rome. Incidentally, the banner photo at the top of this post shows Jason Chapman and Don Reynolds carrying “my” Helikite out for deployment. So not only did I get to meet the rock stars of insect migration, they served as my field assistants! Thanks, guys!